I just lost my virginity … that is, my Broadway musical virginity. Until recently, I’ve never seen a musical in my life. In line with my things to do article, I wanted to do fun things that were more unconventional than the typical movie. So, what was to come in town but Rent? As my first Broadway musical – before many more to come I’m sure – the band, tight vocal harmonies, acting, and dancing dazzled me. It was filled with so many elements that appealed to people young and old. The next week after watching the musical, I searched for songs from it that could be played on the piano. I found two. One of the hallmark songs of this music is, of course, the Seasons of Love. The other one was the duet “Take me (Baby) or Leave Me” sung by the characters Joanne and Maureen. 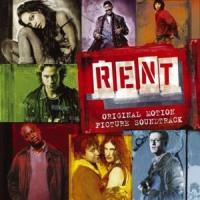 There are several versions of “Seasons of Love” online since the song is the musical icon of the film and often the most favored. But I could not find “Take me or Leave Me” anywhere online. I could not even find it in book form. So as usual, I had to chord it myself. These chords work well on piano even without the band in the background. Enjoy! This entry was posted on Friday, May 4th, 2007 at 2:09 pm	and is filed under Chords, Music. You can follow any responses to this entry through the RSS 2.0 feed. You can leave a response, or trackback from your own site. Hallo hast du die Noten auch richtig? Wenn ja könntest du mir die per E-mail zukommen lassen?